Last Saturday I ran my first 10K! It was weird to run alone, but I am so glad that I completed this race! 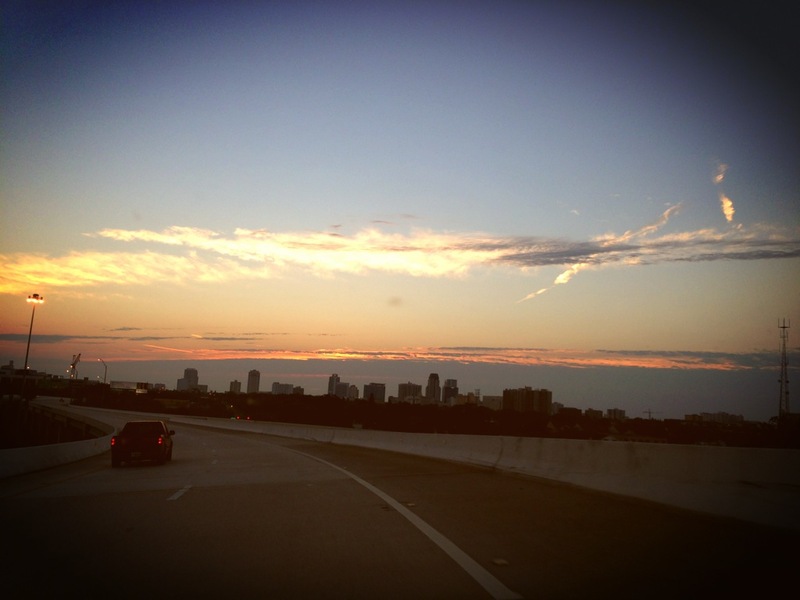 It was the Suncoast Classic in St. Pete. 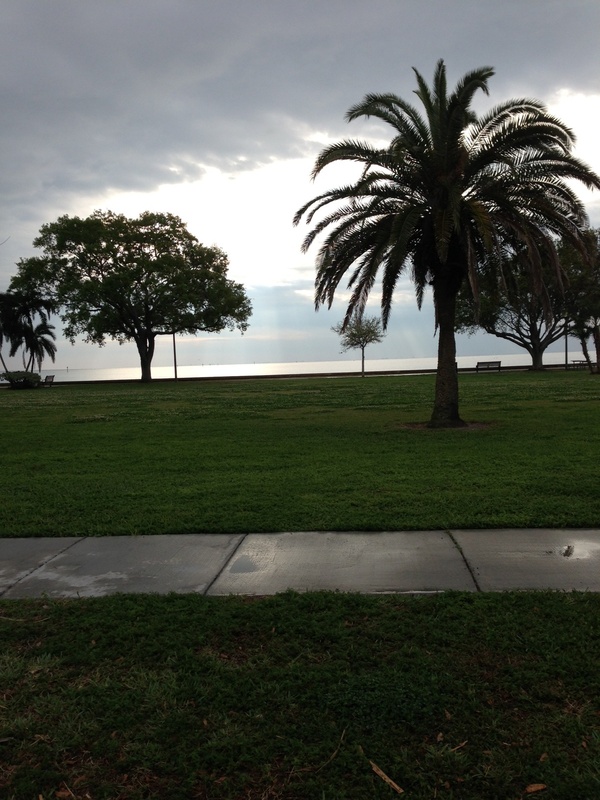 At about 7:45, dark clouds started to roll toward the start line. The rain only sprinkled during the first mile and a half. Because it was a little cold, I already had on a light jacket. This kept the cold rain off of me. Once it stopped raining, I simply tied the jacket around my waist and ran on! At about mile two, a young girl (11 or 12 years old) got sick and her mom didn’t know what to do. She didn’t have a phone, so I stopped and let her call her husband so that he could come and get the girl. 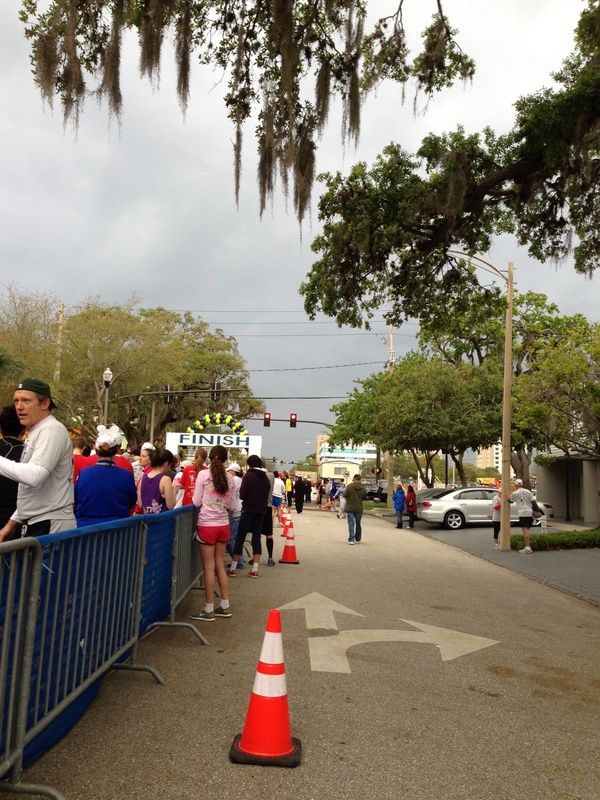 Even with this 2-3 minute stop – I had a great overall pace! At the mile number 3 water station, a volunteer got down on one knee to give me a cup of water. They were trying to get a “water station” photo – so I obliged. 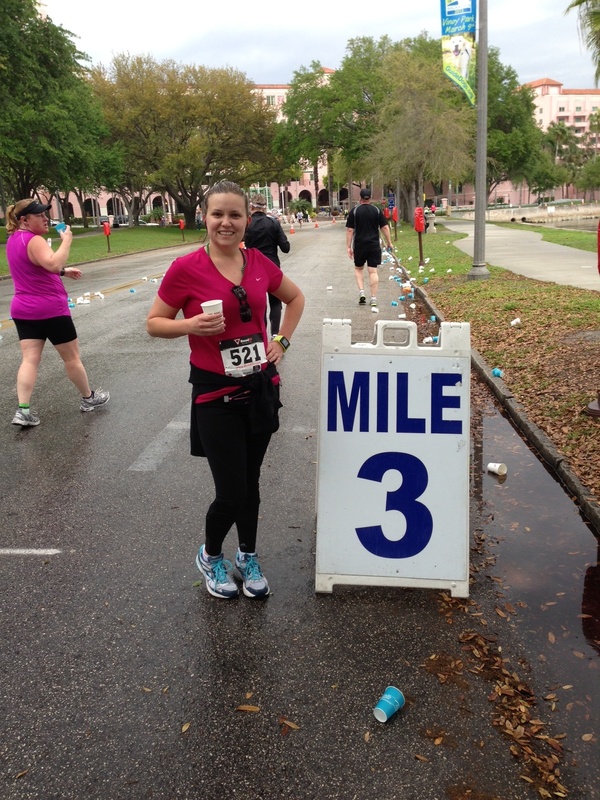 I also asked them to take my photo with the mile 3 sign as proof that I made it halfway! During the last two miles, I kept myself going by high-fiving people that were on the other side of the track and even got a high five from a police officer that was blocking one of the roads for the run! Even with the slow start in the rain, the phone call stop, and the water stop – I maintained a good pace and finished with an official time that was only a few second off of my new Nike watch. David surprised me on Friday with the watch – green of course! I chose the Nike+ watch based on a recommendation from Caitlyn. 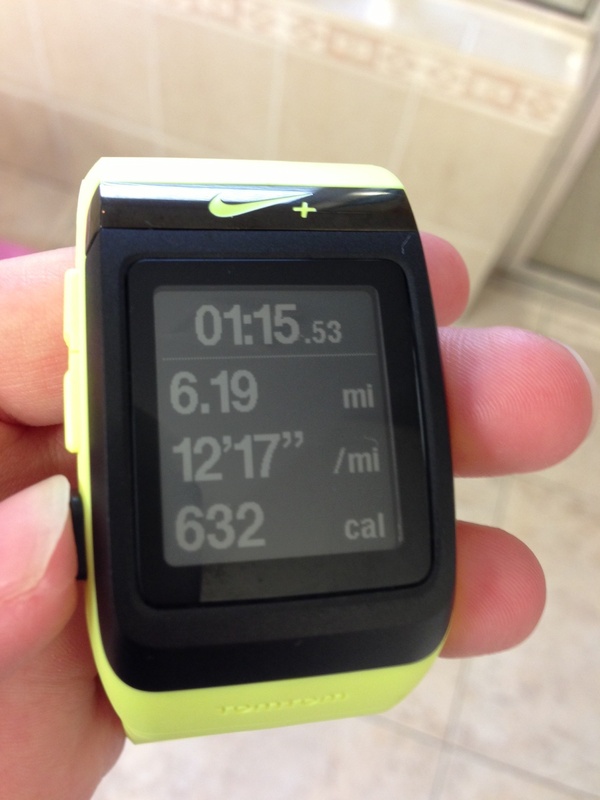 If you have been contemplating getting a running watch – I am already in love with this one! It was so nice to be able to look at my wrist to see how I was doing instead of having to fish my phone out of my arm or waist band to see the time or my current pace! Another commercial: I ran for the first time with calf compression sleeves – no calf pain and no shin splints! I will be investing a few more pairs of compression sleeves for future races!